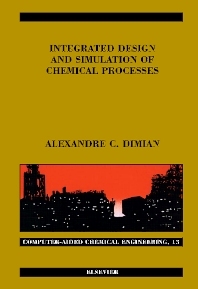 This title aims to teach how to invent optimal and sustainable chemical processes by making use of systematic conceptual methods and computer simulation techniques. The material covers five sections: process simulation; thermodynamic methods; process synthesis; process integration; and design project including case studies. It is primarily intended as a teaching support for undergraduate and postgraduate students following various process design courses and projects, but will also be of great value to professional engineers interested in the newest design methods. Provides an introduction to the newest design methods. Of great value to undergraduate and postgraduate students as well as professional engineers. Numerous examples illustrate theoretical priciples and design issues. Chemical engineering and industrial chemistry university departments; libraries of companies in basic chemicals, petrochemicals, refining and gas processing; engineering contractors; chemical engineers; undergraduate and postgraduate students. Alexandre C. Dimian is a retired Professor from the University of Amsterdam, The Netherlands, where he taught Process Design and Integration from 1993 to 2008, as well as at Technical University Eindhoven from 2009 to 2011. He wrote his PhD thesis in chemical engineering at the Technical University of Bucharest, Romania, and TU Hannover, Germany. His career embraced the evolution of process simulation in the last 30 years. He is one of the pioneers in Europe of using scientific computation and process simulation in industry since 1982, working many years as consultant for computer-aided process design in various industries in France and in The Netherlands. He published more than 100 refereed scientific papers and five books, from which two books about chemical process design were published by Elsevier and Wiley, and has five patents to his name.